As per a Supreme Court judgement passed on 9 June 2017, if you have Aadhaar, it is mandatory to link it to PAN and mention the same in your tax returns. The government has made it mandatory to provide both Aadhaar and PAN number for filing taxes from July 1 onward. But Still you can Link your Pan Card with Aadhaar Card. Here’s a guide which can help you to link your Aadhaar and PAN cards. Taxpayers first need to register on the Income tax Offical website. Once registered, follow the steps listed below to link the two IDs. In the various tabs on top of the page, click on profile settings. In the drop down, click on link Aadhaar. In the new page, you will see your personal details like name, date of birth etc. Verify the details on the screen with your Aadhaar card. If they match, enter Aadhaar number and click on the ‘link now’ button. 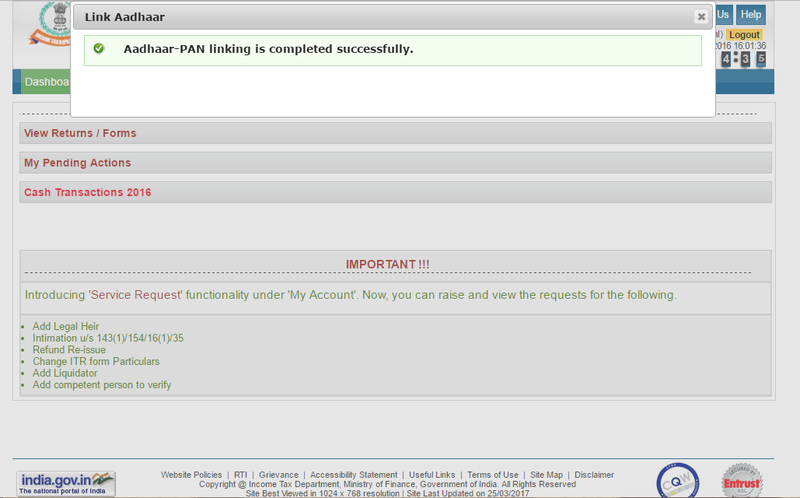 You will receive a pop-up message saying – “Aadhaar-PAN linking is completed successfully”. Block Diagram Representation of Who Should Mention Aadhaar in ITR? 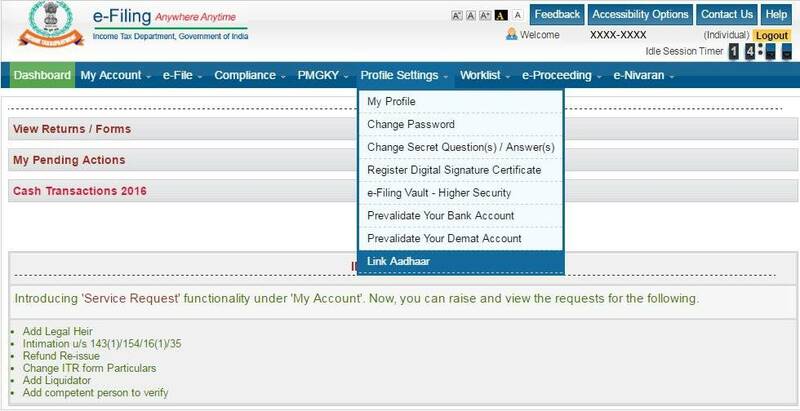 The Income Tax Department has made it easy for taxpayers to link their PAN with Aadhaar with just a 2 step process which does not even require to login or register at the e- filing website. These are the best ways that can be used by anyone to link their Aadhaar with PAN.